Are the boards available populated? @m0nka, is there anything you can do about that, e.g working with a fulfillment company that takes care of it for you? I just wish to say that I have a great respect to your work. It takes time, dedication and love for the hobby. You and your supporters are bringing the ham radio to it’s core fundamentals: experimenting, building, improving, sharing the knowledge and friendship! For the just mentioned reasons I refuse to buy Chinese clone and I’ll be happy to wait longer in order to get the Complete kit (my eyes are not as they used to be, so I’ll need to go with with pre-soldered SMD components). Thank you again for your outstanding project. I appreciate all the negative feedback and criticism. First, you do not know my financial situation. Second, the SDR transceiver works just fine. Third, I had hoped a fellow ham might provide some constructive advice that fits reality. I won’t bother with this forum again, because I see what kind of “help” I will get here. Is this reply to somebody else ? I don’t see the OP. I would like to take this chance to thank you for your work on this project. I realize how time consuming such an endeavor can be. Not to mention frustrating and (at times) under valued the work can seem. I, like you, (it seems) took a passion and hobby of mine (high-end audio and valve design) and merged it with my chosen career path. I started a business on the side and eventually transitioned to self-employment. Although I cannot relate with everything you deal with I can relate with the work, effort, time, money, frustration and (at times) anger associated with such a project as the mcHF. I can only imagine what it would be like to pour countless hours into something, release it to the public as open-source, offer PCB’s and even kits, only to have others ‘borrow’ your IP and offer it for sale online. I haven’t experienced that and I certainly wouldn’t want to experience it, either. I commend you for your continued work on your SDR transceiver and (from what I have read/heard) work on future projects. I had seen your project early in its design but hadn’t the time for radio, then. Now I do and I am more than happy to support you by buying the boards and parts directly. I much prefer kits and learning through research and building. 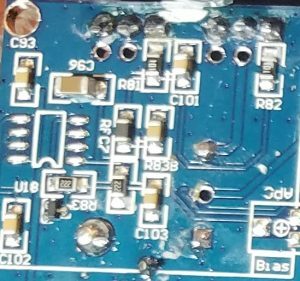 From the reviews on your PCB’s, instructions and board layout, it seems you have put a great deal of time into the assembly process with functional sections laid out along with their function. That is a great touch and a nod back to vintage kits. I look forward to placing my order and receiving my PCB’s or, better still, a set of PCB’s and parts kit. I wanted to take a moment to thank you once again for offering the community such a nice SDR design. Better yet, you offer a very reasonable set of PCB’s and parts kit. As someone who has designed, manufactured and built many things, I have found sourcing all the components to be the most frustrating and time consuming aspect of the entire project! I am certain you are aware of this given you source the parts, kit the parts and handle the logistics. That isn’t easy and it isn’t cheap – in time or money. Thanks for your nice words and support! To be honest i am not that bothered as it is not the first time it happens to me. My first project was commercial, with all the protections in place. It still got hacked and when the cloners make they first million, you kinda stop caring about it. It is just the way the world works, you create something desirable and people would want to steal it. There is no surprise of Chinese companies stealing IP, my only disappointment is hams in the civilized world supporting it, ham radio being gentleman’s hobby and all that. Anyway, life goes on, there will always be new and cool things to develop. As long as we are alive and kicking off course. What’s the status of the MyDEL RS-918 as advertised by ML&S in Nov edition of Radcom. Even has mcHF on the front panel. Nothing changed, i still haven’t gone commercial with the project. Love it! I am waiting for the kits to be available again. 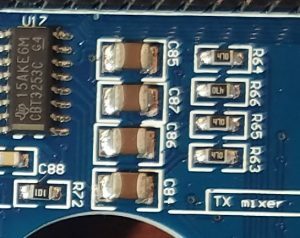 I don’t trust myself with too much soldering, but would love to support the project. Keep up the great work! I could do the soldering for you ! I’m a soon-to-become ham so I decided to buy the components kit and I’m sure I’ll have fun and learn much on smd soldering in the next months. Maybe because I’m a new ham, I’m fresh of some ham concepts which can turn out beneficial for the discussion. The Mchf project is explicitly targeted for the ham who wants to experiment, learn, build and improve his own equipment. This is perfectly in the spirit of the Amateur’s code (http://www.arrl.org/amateur-code). The ham is balanced, and ham activity is a hobby. The ham is progressive, loyal and friendly. Therefore, if we are true hams, IMHO (no offense intended to anyone) we are not rushing to have a Mchf off a shelf, hurrying for having it today. It’s against our code. Similarly, saying something like “I’ll be forced to buy a clone” is not a good example of a ham spirit and it’s a pity that it takes a newbie to point that out. You may not like it but this is a project for who wants to build and experiment. The project and the kit is so valuable that is also happens to be a very appetizing product, but this does not automatically mean that Chris has to build a million rigs pre-calibrated. It’s his decision I think. Thanks for your comment! I could have not said it better! SM inductors usually have low Q. And if they use anything but C0G capacitors for the TX match and LPF/BPF, the dielectric loss tangent will cause component heating or failure. 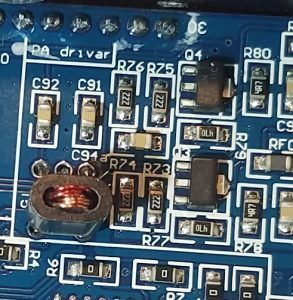 QC failed, or just lower quality components with painted over more expensive parts text. Everything on the boards looks like parts sourced from the local market. 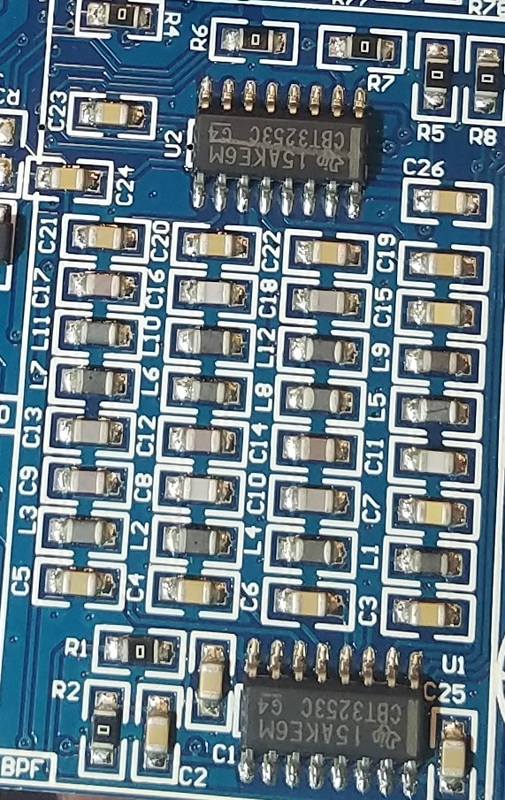 I have to go through hell every time when ordering assembly on a mcHF batch – have to split non critical parts for the factory supply, then all critical stuff – semiconductors, inductors, caps in the RF part (specially high voltage one) for the exciter and detector, etc. to order from 5-6 different suppliers locally, so i am sure those components have passed some minimum quality control at least. It is just the nature of the project – a weird mix of digital, analog and RF circuits. It requires attention to detail. Will full assembled+cased+calibrated part of the project for no skilled people? I can find someone available to do the complete job for me, but he costs much more than professional assembly line and the total cost is over budget. I feel a big demand for it, today my only option is china clone. like to have open source radio where they can change whatever they want/have full freedom. If you need a radio just to use as appliance maybe the KX3 or the FDM-DUO is best. Trying to order MCHF COMPONENTS KIT v 0.6 , but when i get to paypal it say its not availabel? Very interesting update on the clones. I’ve been anxiously waiting for the complete kit to be available. No way I’d buy a product “ripped” off from you! Thanks for your support! Appreciated!